Now there was a time when I just used the brush that came with my blusher ..However, the old pictures are testimony to the fact that that was clearly the wrong thing to do. I have seen the error of my ways and seen the results of what great brushes can do and now I have quite a few brushes in my kit. Not a huge amount I will say but these do me just fine. 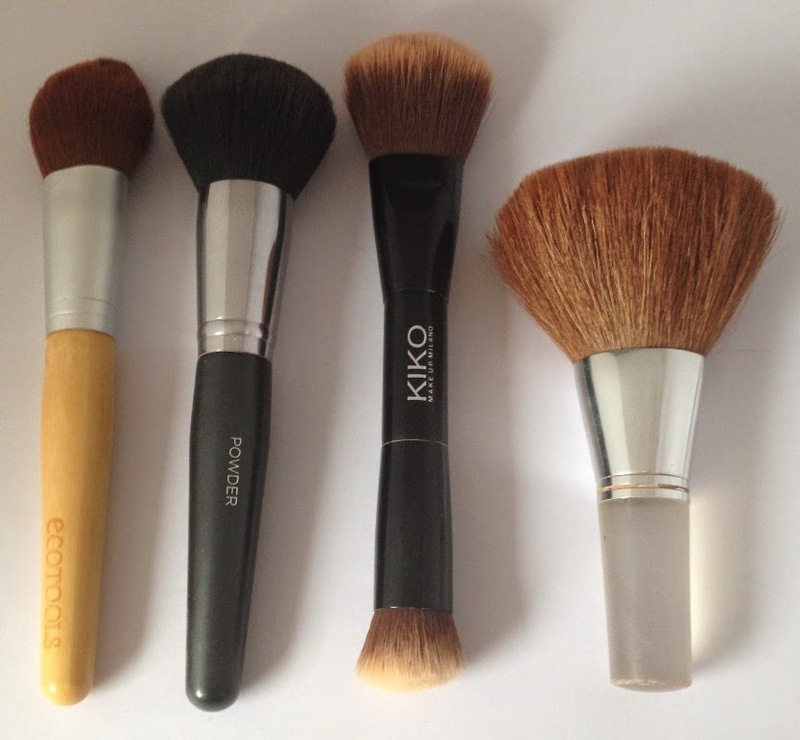 I have already told you about the fabulous 6 piece eye brush set from EcoTools and today I turn to the four trusty brushes that I use over and over again to powder, bronze, blush and highlight my face. I bought this brush as part of my makeup kit when I was getting married and have used it pretty much daily ever since (7 years and it is still going strong). It is an all over face brush and it is incredibly soft. Perfect for applying my bronzer. I adore this blusher brush that I picked up in Boots about 3 years ago. It is made from sythnetic taklon and has a fabulous tapered shape and is so, so soft. It picks up product perfectly and evenly for flawless application. I love it. I use this brush to apply my contour blush. It is a fully rounded powder brush. I have used it to apply pressed and loose powder equally effectively but for now (and for the last year) I have used it just for contouring with a pressed powder. Can be used for all powder applications. Synthetic. Annoyingly this is a ltd edit product that is no longer on sale which is a real pity as it is pretty damn perfect. 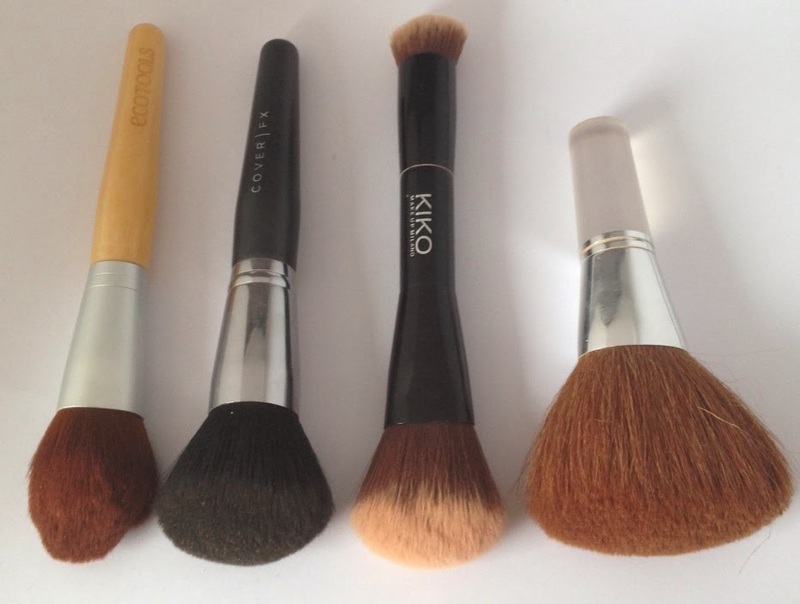 This double sided brush contains on one side a kabuki style short and round/flat brush that is ideal for powders, I use it for my loose setting powder. The other side is a longer, thinner flatter, slanted style brush that is good for powder blushers and personally what I like to use it for.. is highlighting. This works a dream with my Laura Mercier Shimmer Mosaic Powder highlighter. Once again this is a synthetic brush and is beautifully soft.